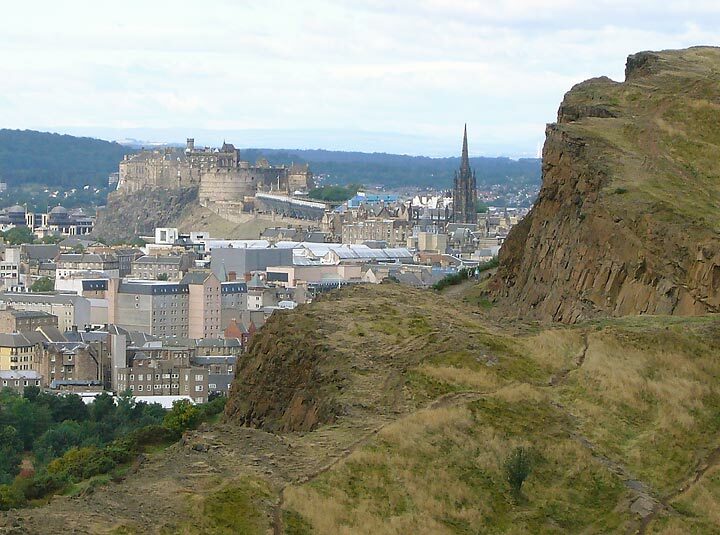 The castle and old Highland Tolbooth Church from Salisbury Crags. 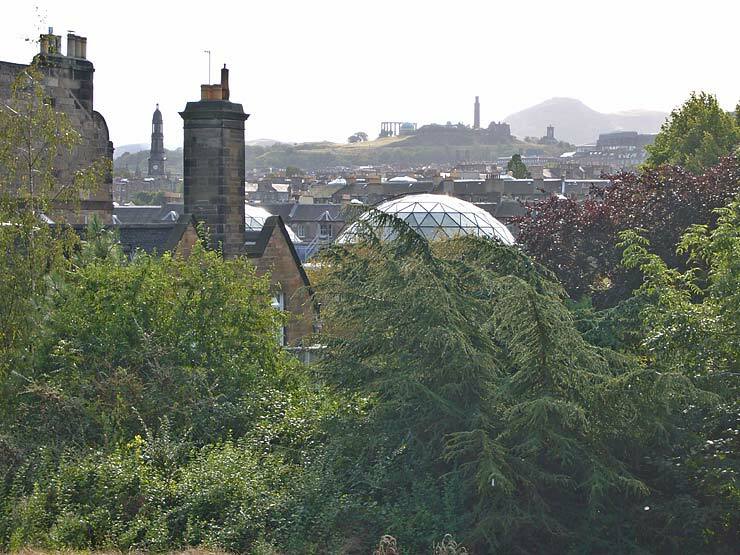 Arthur's Seat and the ridge of the Royal Mile from near Fettes College. 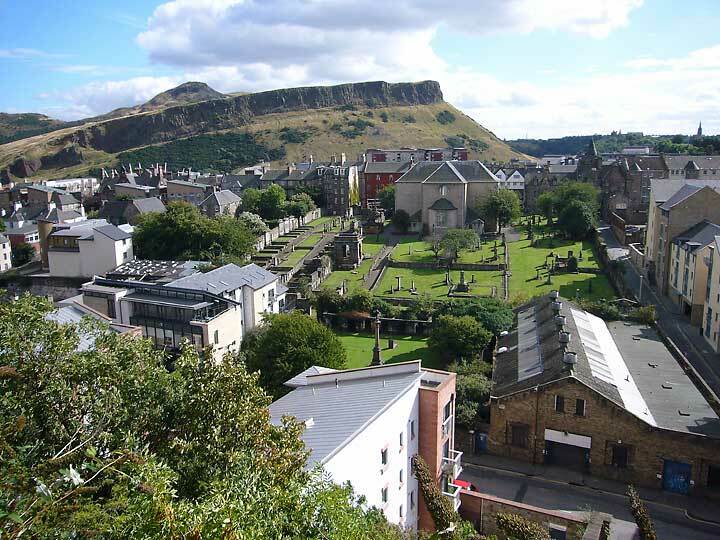 Arthur's Seat, Salisbury Crags and Canongate Kirk from the Calton Hill. 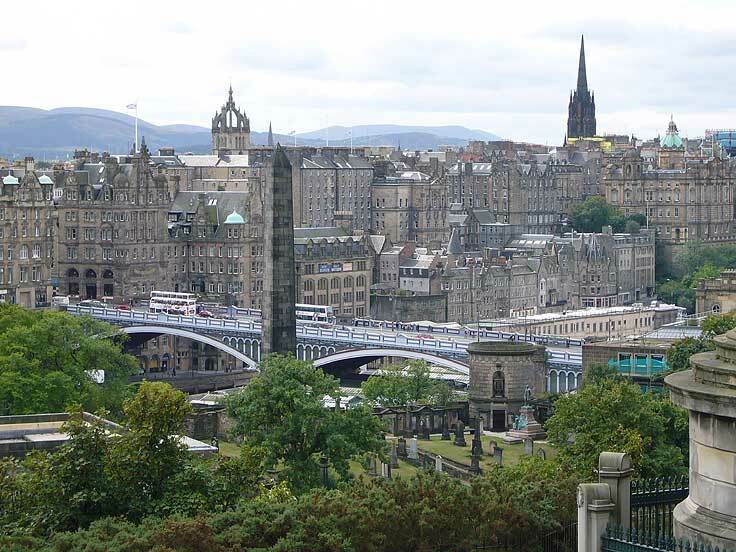 The Old Town and North Bridge from Calton Hill (first two). 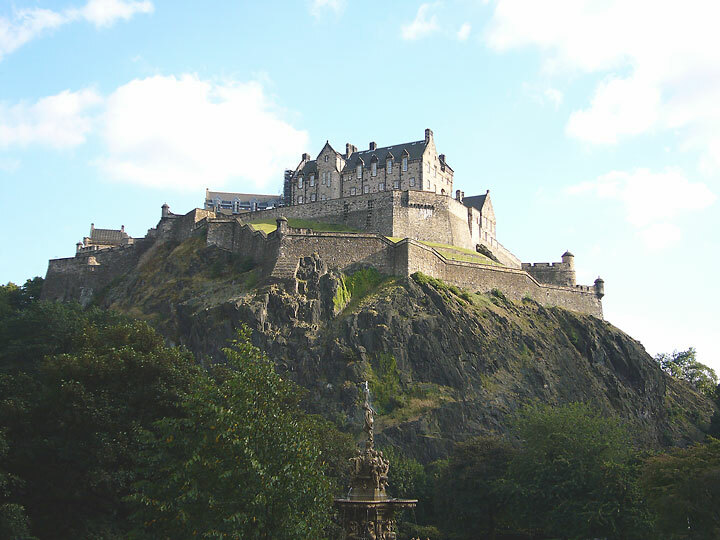 The Royal Mile below the castle from Princes Street. 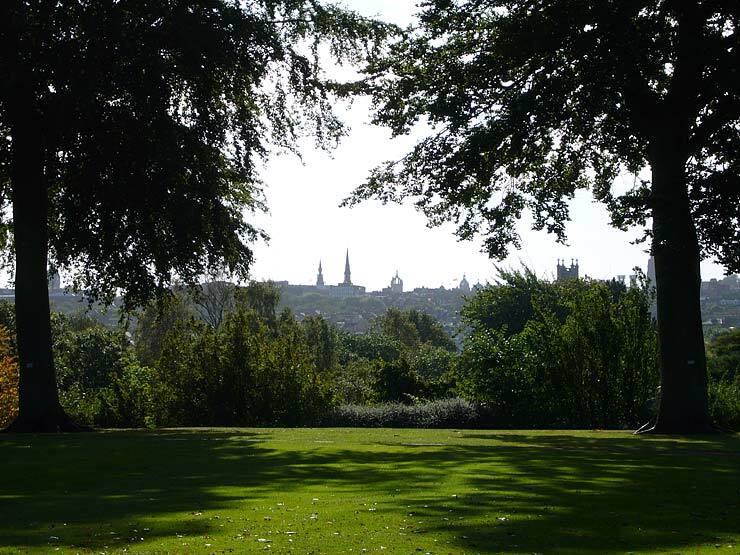 and from the south near George Heriot School. 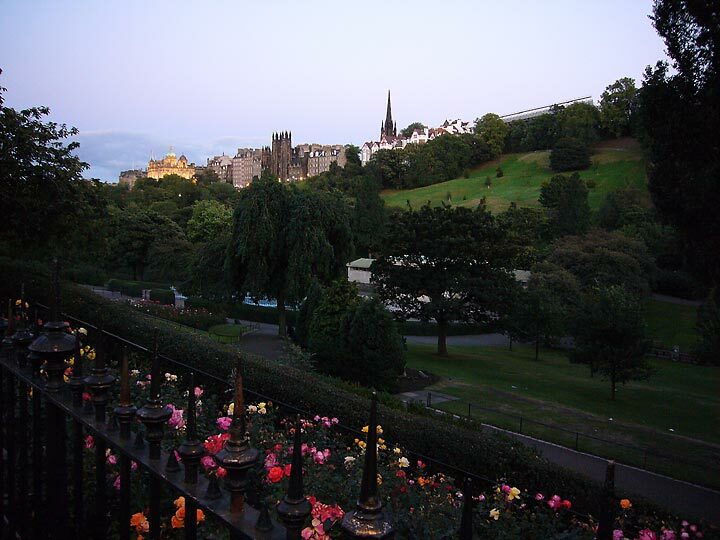 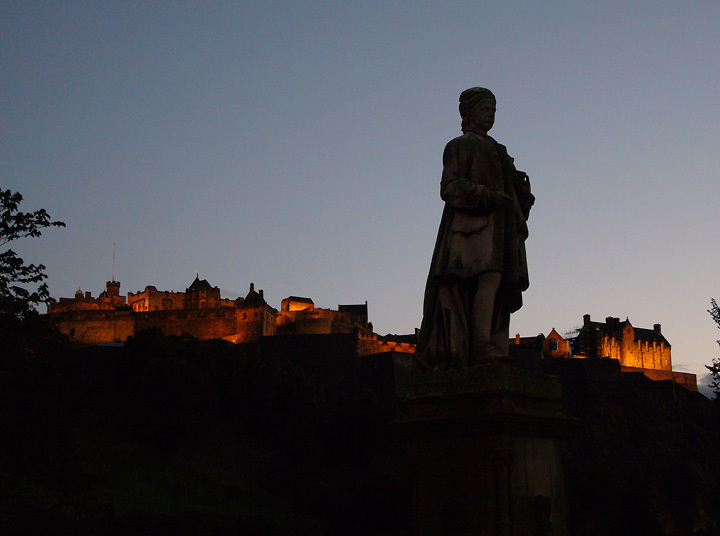 from the middle of Princes Street. 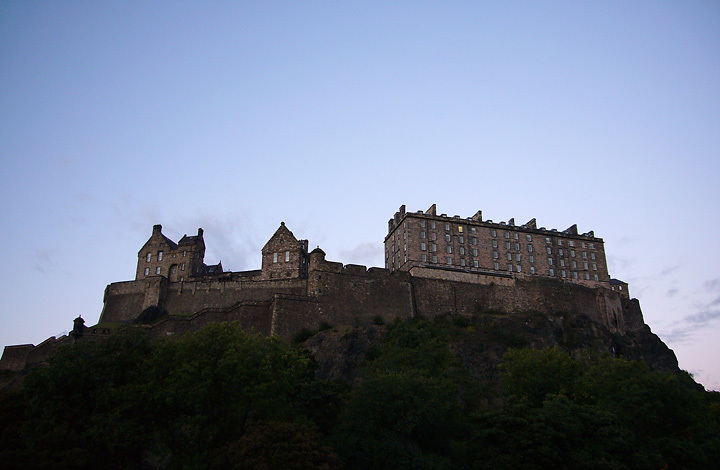 The castle from the west near Castle Terrace (2). 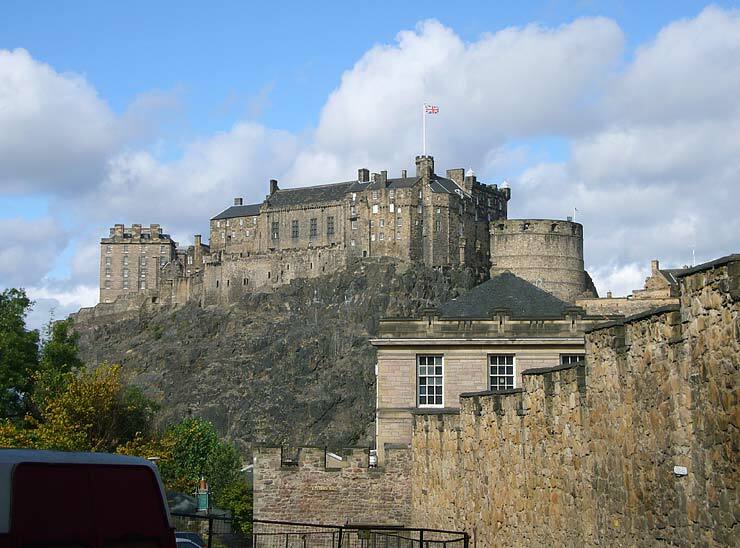 Looking down South Castle Street to the castle. 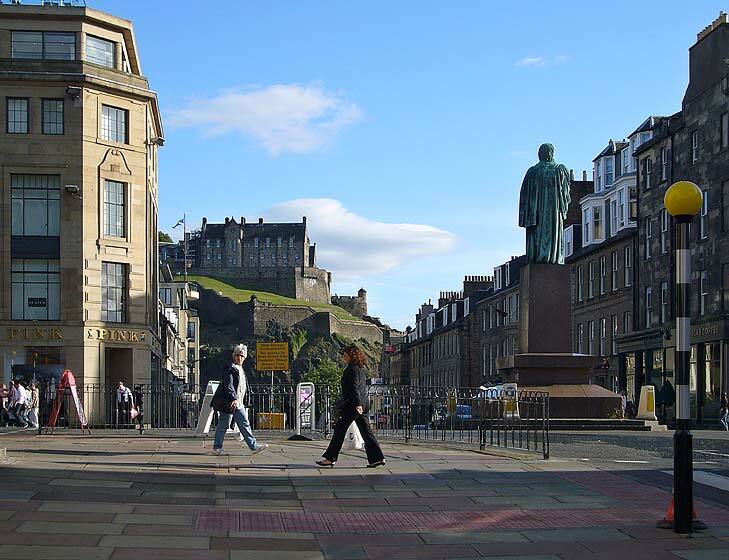 Looking down Hanover Street to The Mound and beyond. 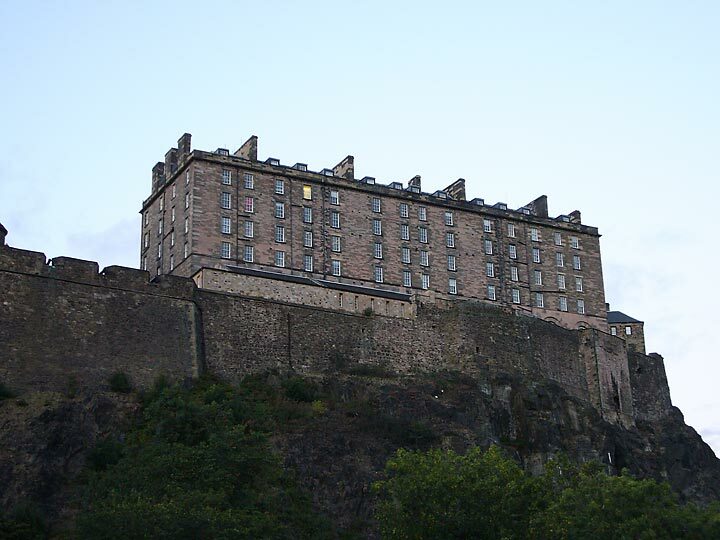 Three buildings that could be mistaken for one: The Royal Scottish Academy 'surmounted' by the square towers of the Assembly Hall which in turn has the 'stolen' feature of the spire of the Highland Tolbooth church behind it (now 'The Hub'). 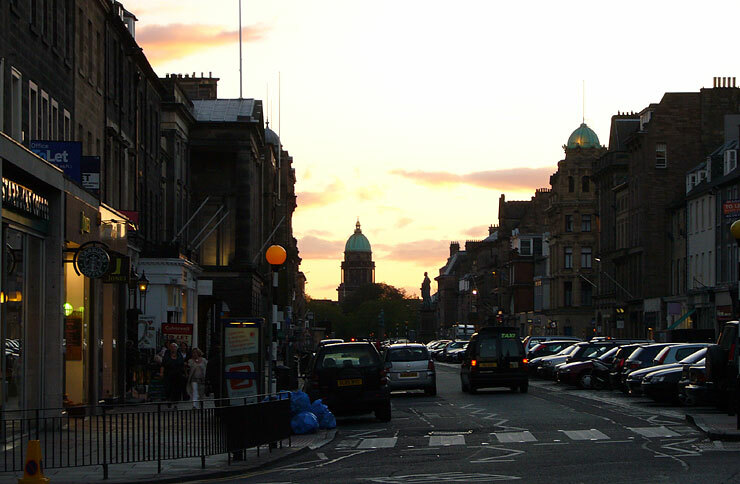 Looking west in George Street. 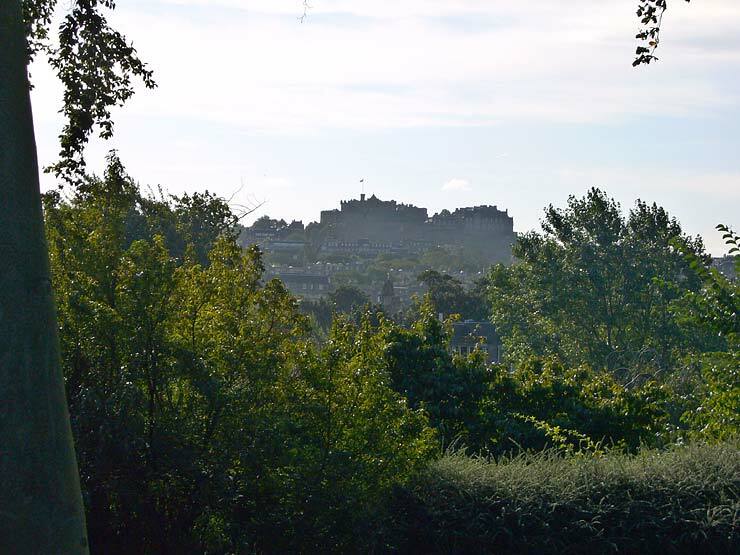 Arthur's Seat to the castle from the Royal Botanic Garden. 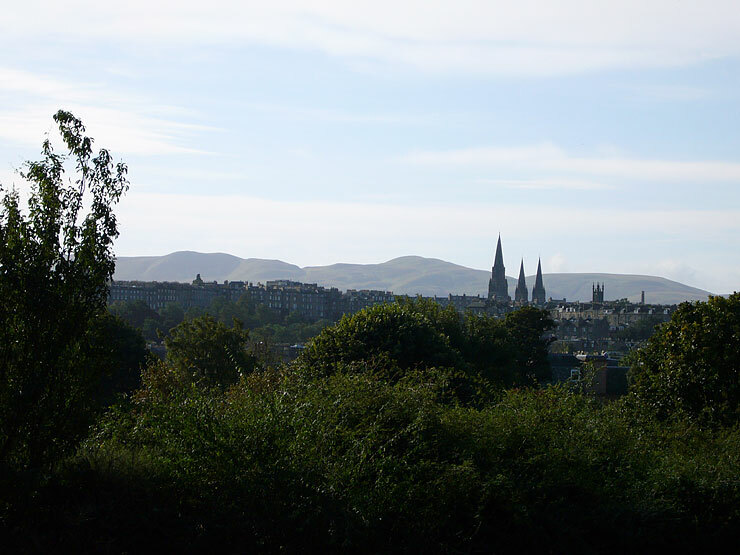 The Pentland Hills from the Royal Botanic Garden. 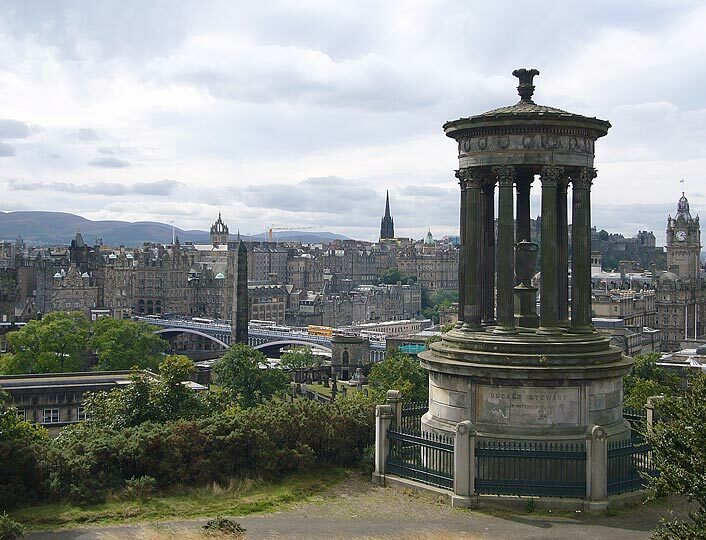 Calton Hill and Arthur's Seat. 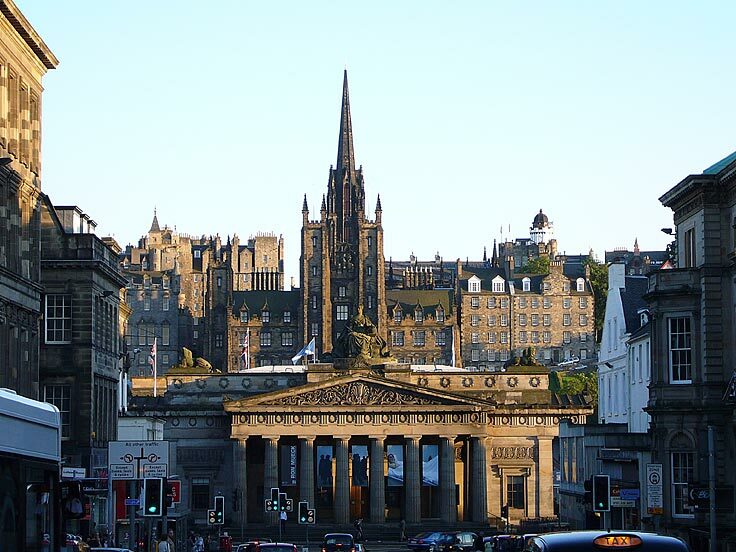 Central stretch of the Royal Mile with the crown of St Giles. 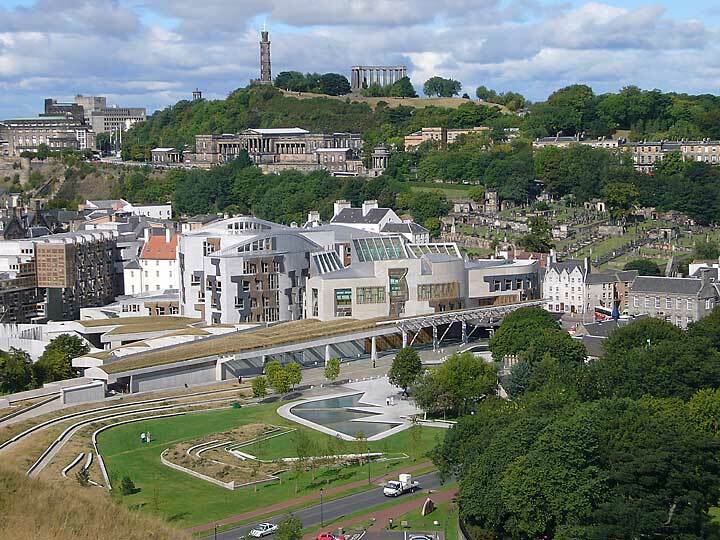 Calton Hill across Holyrood from Salisbury Crags. 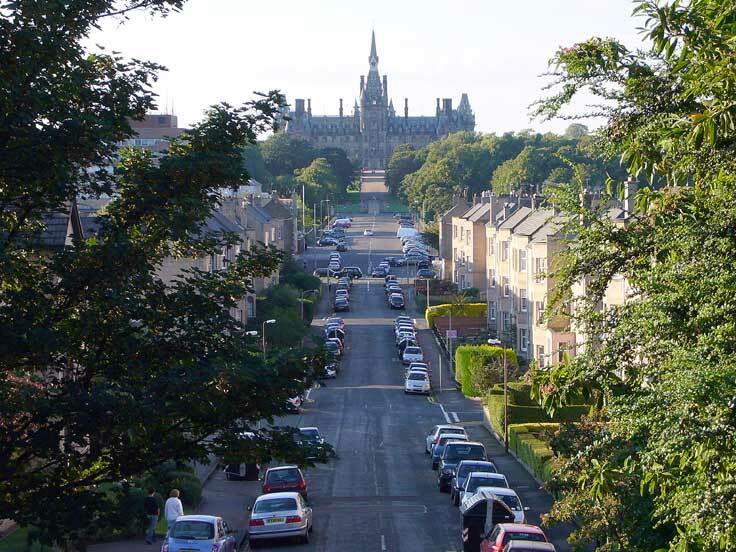 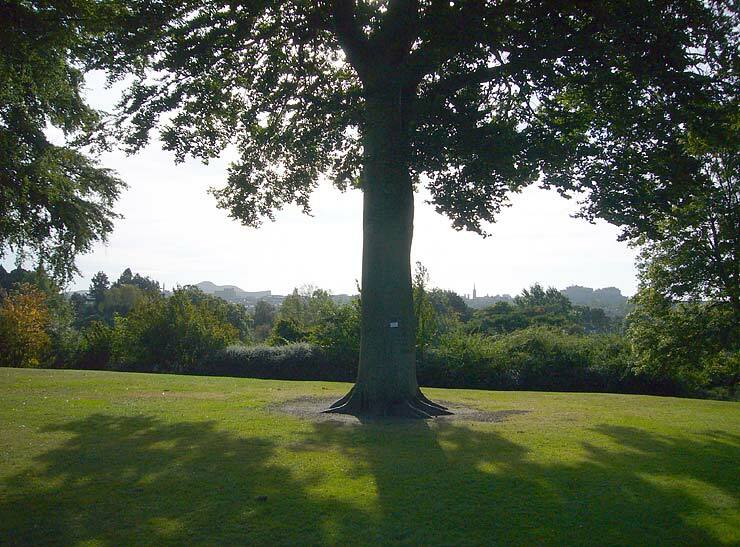 Fettes College looking along Fettes Avenue. 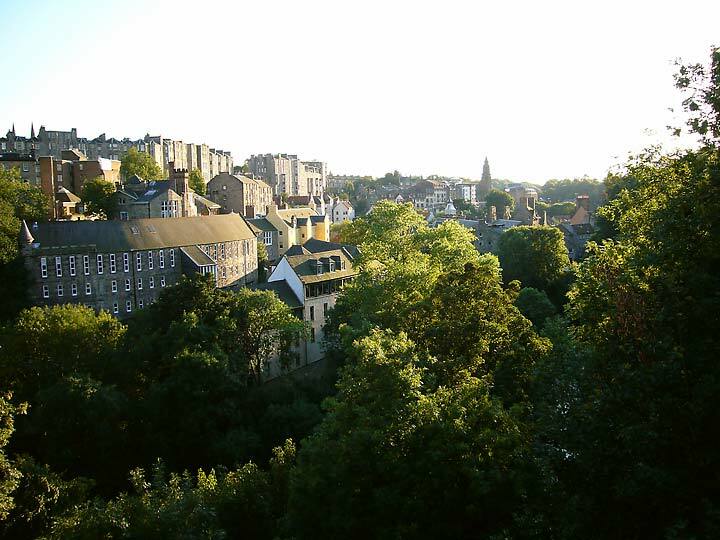 Across the Water of Leith from Dean Bridge.